Cooks Standard mulitclad stainless steel cookware features air-flow technology that makes the handle stay cool. 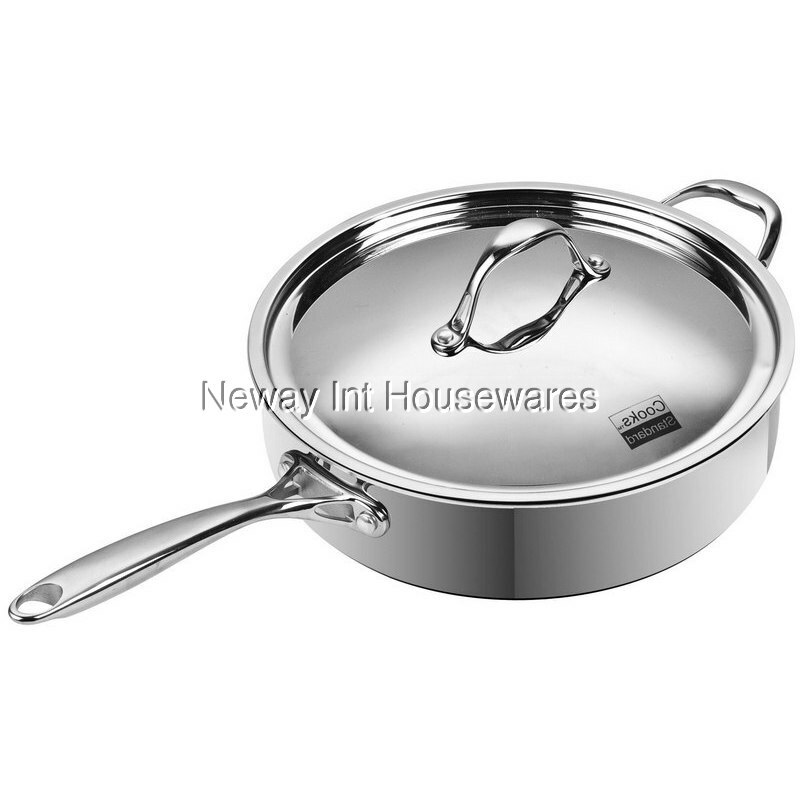 Constructed of clad metal of 3 layer: Interior lining is premium grade 18-10 stainless steel, core made of multi-element alloy aluminum for superior heat distribution, the core of aluminum goes from bottom all the way to side wall, stainless steel does not transmit heat quickly but aluminum does. Aluminum is soft and dents easily, stainless steel is hard and strong. This means you get the toughness of stainless steel with the even heat distribution of aluminum. Exterior is scratch resistant brushed treatment. Induction compatible. Dishwasher safe. Oven safe to 500F. Works on gas, electric, glass, ceramic, halogen, etc.